Another WordPress themes collection is ready for you, and this time it’s the stack of designs dedicated to dairy and cheese production, cattle farming, milk and honey, organic products like seed, vegetables, fruits and meat, natural products of a different kind, and more related things. You can take these themes to sell organic food or cosmetics in your online store thanks to their WooCommerce compatibility, or you can just choose a theme to create your business website and start making your business even more profitable. Enjoy! 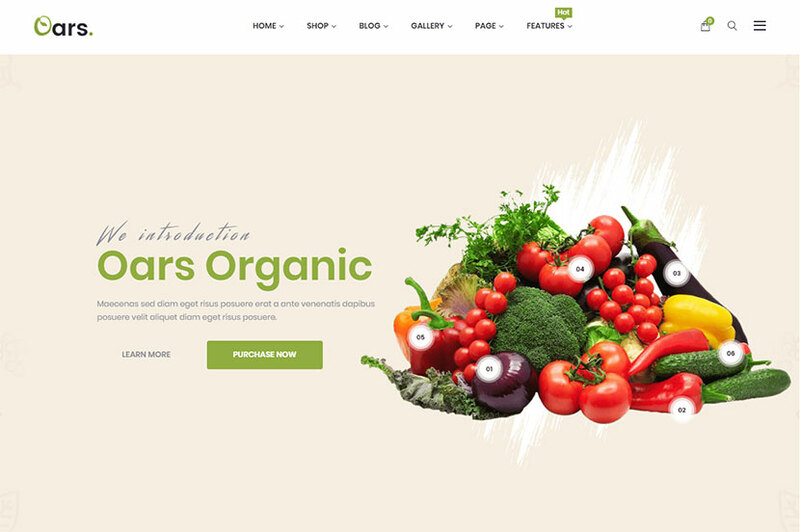 An organic food store WordPress WooCommerce theme which is easy to customize for creating a full-fledged website with online shop functionality and start selling organic and natural products. Features like drag-n-drop page builder, wishlist, ajax shopping cart, 2 homepage layouts, multiple header types, pre-made blog templates, fullwidth and boxed layouts, live search ajax on/off, WooCommerce catalog mode integration, product images lightbox & zoom for details page, and many more ones are available. 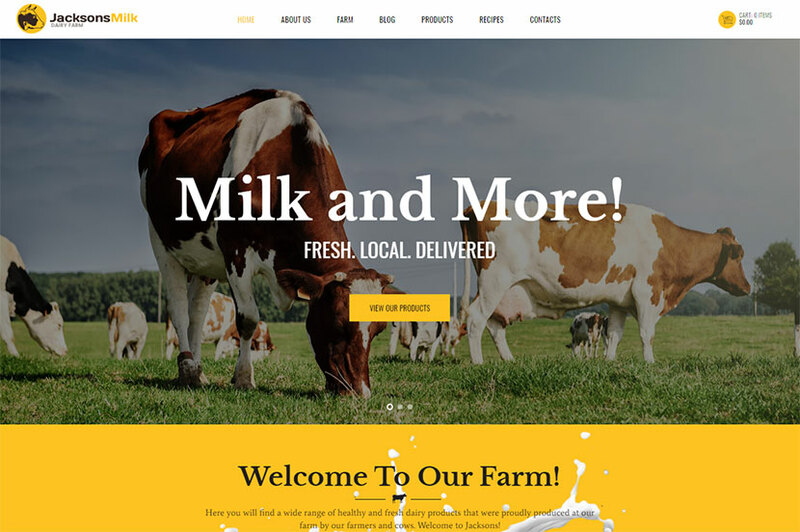 A top-notch WordPress theme perfectly suited for dairy farms, eco products manufacturers, organic stores, cattle farms, agricultural business, meat and milk manufacturers, etc. The theme is stuffed with a number of features and comes compatible with lots of premium plugins which extend its core possibilities. It includes WPBakery drag-and-drop page builder, Revolution Slider, Essential Grid plugins as well as fully supports WooCommerce shop functionality. Custom widgets and shortcodes, WPML support, and many more features are also available. 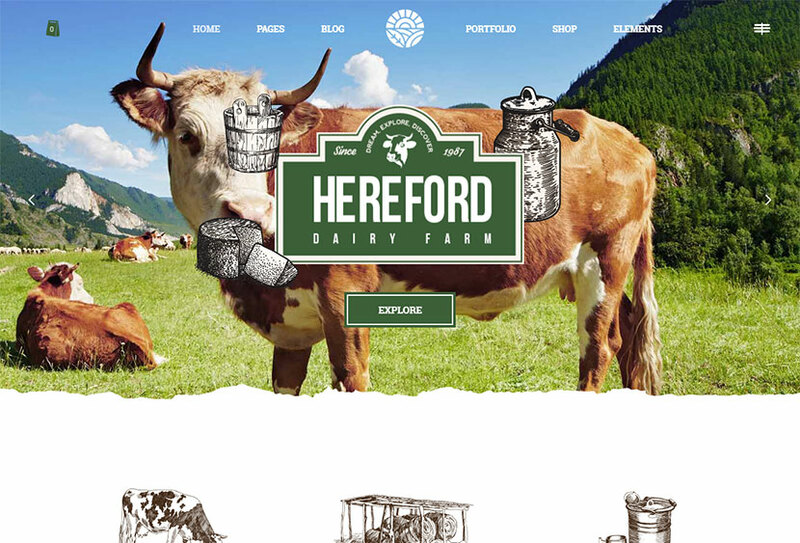 A WordPress theme created for private farms and agriculture businesses. The theme can be used for promoting a dairy factory, a cattle farm, organic products shop, infant-feeding center, etc. The template includes a bunch of features like custom widgets for home, support and other pages, CPTs for products and recipes, 4 versions of products page template, styled boxes for product categories, a variety of custom widgets, carefully styled blog with specifically designed sticky post, and more. Another cool WordPress theme appropriate for dairy farm, viticulture, horse ranch, farm supplies selling, apiary, organic shop, etc. The theme comes with 6 eye-catching homepage layouts, easy-to-use powerful admin interface, practical inner pages, large collection of custom shortcodes, WPBakery drag-and-drop page builder and Revolution Slider integrated, multiple customizable layouts for portfolio lists, and more. 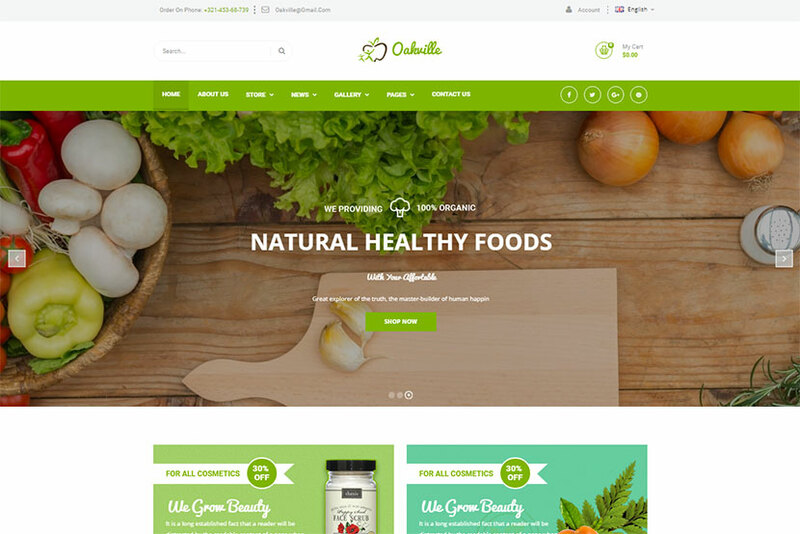 A colorful WordPress theme perfectly suitable for natural and organic food related websites. It will greatly suit for agricultural business, healthy food blog, gastro tourism site, healthy food shop, dairy & cheese farm, winery and grape farm, eco products store, fresh bread and bakery store, etc. The theme comes compatible with WPBakery Page Builder, WPML, Essential Grid, WooCommerce, Revolution Slider and more coolest plugins. It boasts professional design, comes with features like user menu and main menu support, interactive ajax search, flexible colors & typography, boxed and fullwidth page layouts, multiple blog styles, flexible layout options, 20+ post animations, and more features. A great WordPress theme crafted for organic food shops online and offline, winery and grapes farm, dairy farm, bakery, food blog, and other related purposes. The theme is compatible with WPML, so you can take it to create a fully translation-ready website. As it also supports WooCommerce shop functionality, you can use it to build an online store for selling organic products or farm supplies. Of course the theme is integrated with WPBakery page builder which allows you to build very unique layouts. 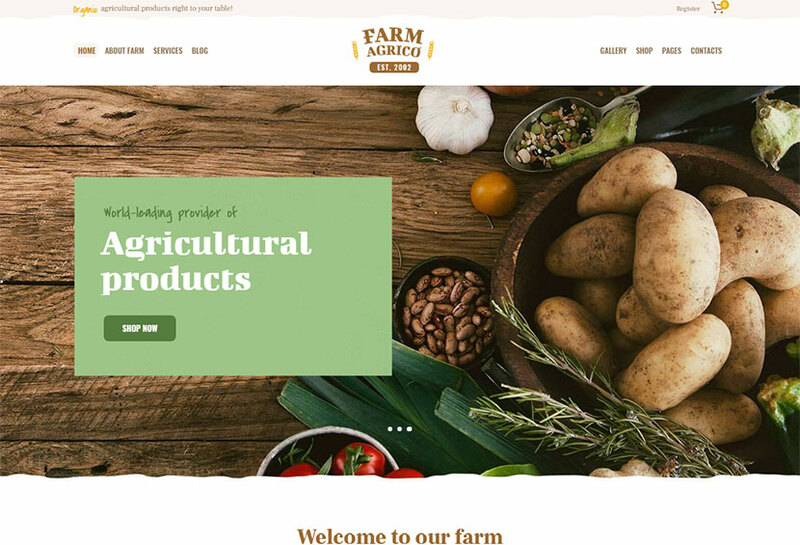 A beautiful and functional WordPress theme which will suit for organic products store, gastro tourism, dairy and cheese farm, fresh bread and bakery website, agricultural business, and more related purposes. Lots of shortcodes, powerful admin interface, multilanguage support, video slider, flexible colors, and many more features come with the theme. WPBakery drag-and-drop page builder, WPML, Essential Grid, WooCommerce, Revolution Slider and more plugins are compatible with the theme. 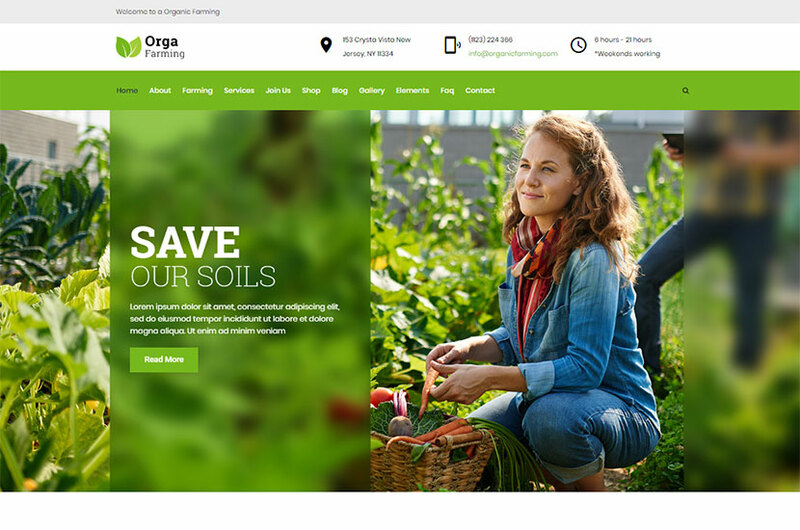 A fresh WordPress theme suitable for organic farms, natural food and other related business websites. As the theme is compatible with WooCommerce, you can use it for selling organic products online. The template offers unlimited color and font options, more than 20 powerful shortcodes, 6 homepage layouts, 6 header variants, 7 awesome sliders, custom widgets and many more features. As the theme is based on Bootstrap 4 framework, it comes with plenty of options and flexible responsive design. 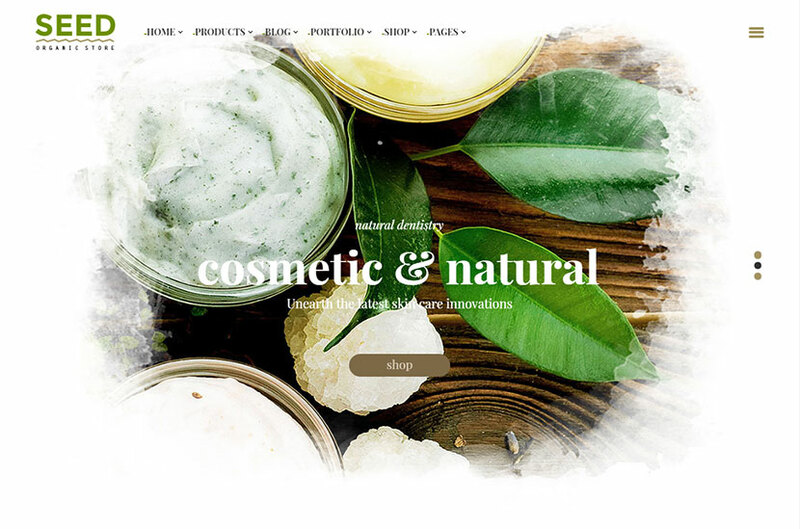 A WordPress theme created for all kinds of websites devoted to natural food, cosmetics and healthy products. The theme is fully compatible with Elementor and comes with exclusive features for this page builder. Parallax row, column backgrounds, 30+ new elements, 3 pre-set color schemes, many layout possibilities, WooCommerce support, Revolution Slider, different styling and typography options, a collection of shortcodes and a shortcode helper, 8 custom widgets, translation ready support, and many more features are included with the theme. 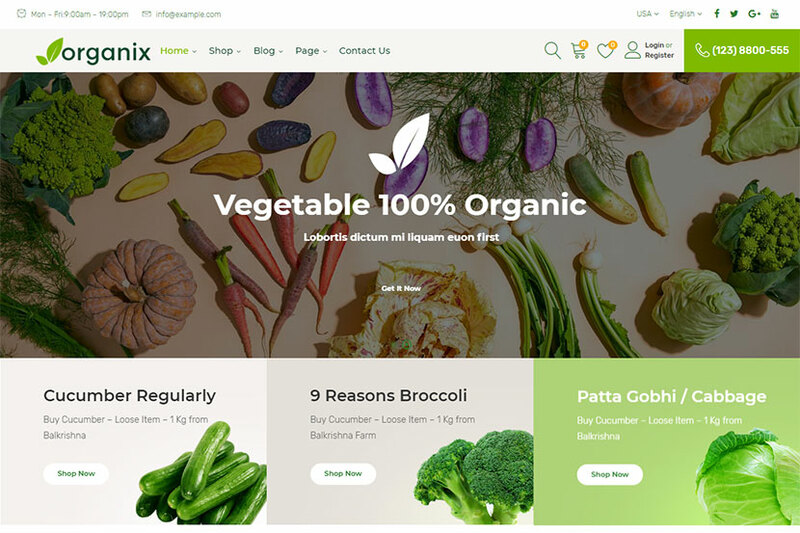 A WordPress theme perfectly designed to become an online store for selling organic products like organic food, vegetables, fruits, bread, etc. Mini-cart, grid and list product view, quick view, filter by price, compare, wish list, and other WooCommerce shop functionality is available with the theme. Fullscreen images, stylish layouts, unlimited element templates, elegant typography and animations – all of these are only a few features of the theme that it can be proud of. Fascinating portfolio layout, WPBakery page builder, mega menu, 6 different header layouts and multiple footers, smart content block, unlimited element templates, and much more features are also available. A WordPress theme made for environment-friendly farming and livestock management websites. It is great for such initiatives as farming community, animal husbandry, livestock farming as well as other animal shelter and rearing activities. The theme is based on Unyson drag-and-drop page builder framework and comes integrated with WPBakery premium page builder plugin with ultimate addons, so it will be easy to create unique page layouts or rearrange the structure of existing ones by dragging and dropping the content blocks. 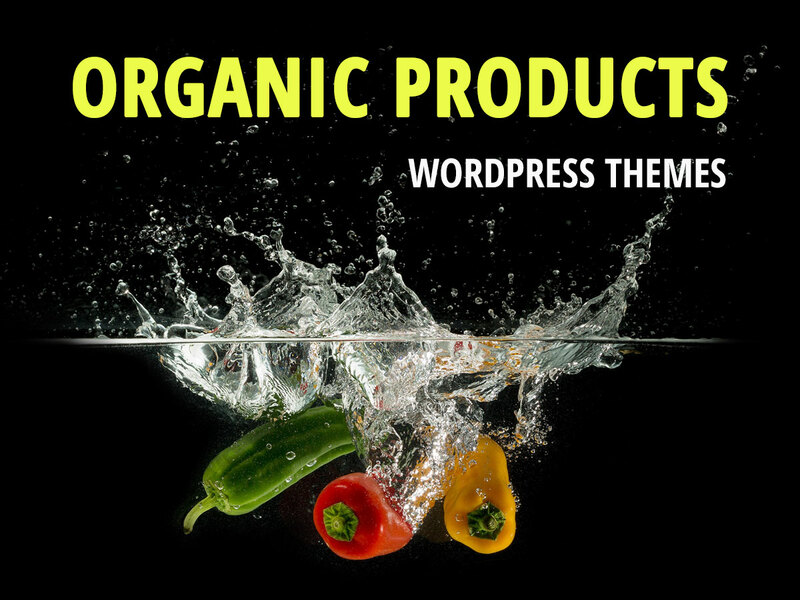 A WordPress theme specifically made for promoting all types of organic products. You can choose this theme to build a website devoted to natural farming products, seed, fruits, vegetables, milk, wine, and much more. You can also use this theme to advertise the natural cosmetics. Advanced typography options, child theme support, Contact Form 7, WPML – multilingual functionality, powerful framework and options, social links, bottom footer widgets, unlimited sidebars, WooCommerce compatibility, pixel perfect design, custom page templates, wide and boxed layouts, and many more features are available. 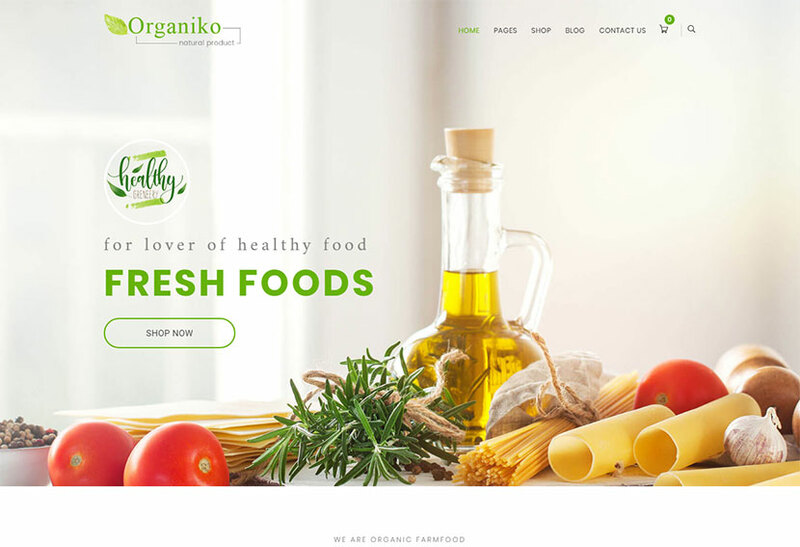 A fresh WooCommerce WordPress theme made to help you sell organic products including food, pet food, alcohol, cosmetics, milk, seed, and many more. The template comes with 4 homepage templates to select from, so you can play with different looks of your website until choosing the best one. Mega menu and big custom slideshow; category tabs slider with pretty thumbnail category; product tabs slider with new, featured and discount products; bestseller, new and featured products per row in each module; blog and testimonials with advertising posts, testimonials, feedback, reviews; daily deals with big images, description and countdown timer of discount products; and many more features are included. 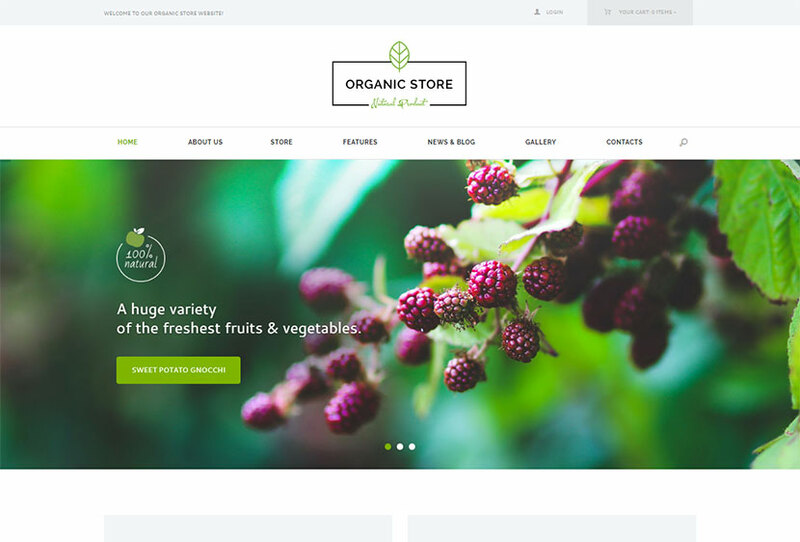 An organic store and fresh food WordPress theme made especially for selling organic food and fresh natural products. It is quite possible to use the templates to sell cosmetics, food, wine, and much more. The template includes 8 readymade homepage layouts for selling smoothie, meat, fruits, ice cream, etc. 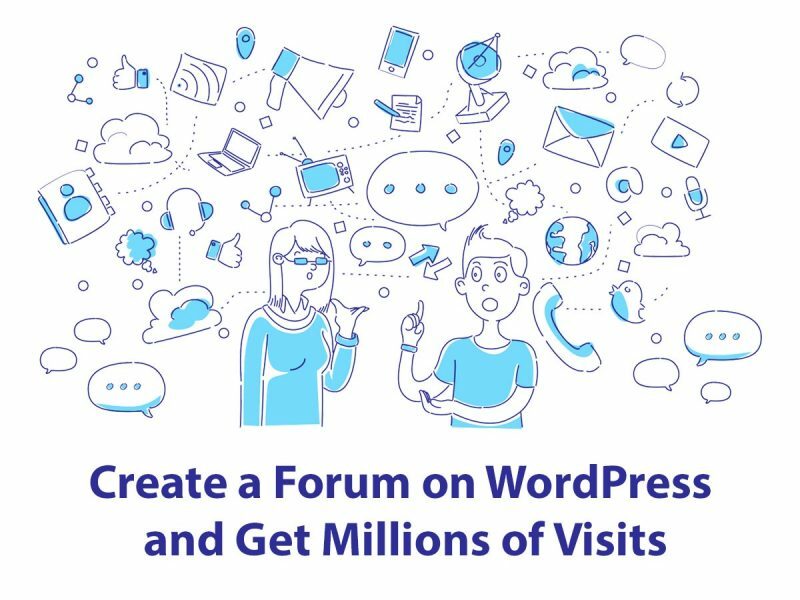 By the way, it comes with a bundle of creative inner pages, unlimited sidebars and colors, and you can easily create a very unique website with no effort using the drag-and-drop interface of WPBakery page builder integrated into the pack. Check out more of its features. 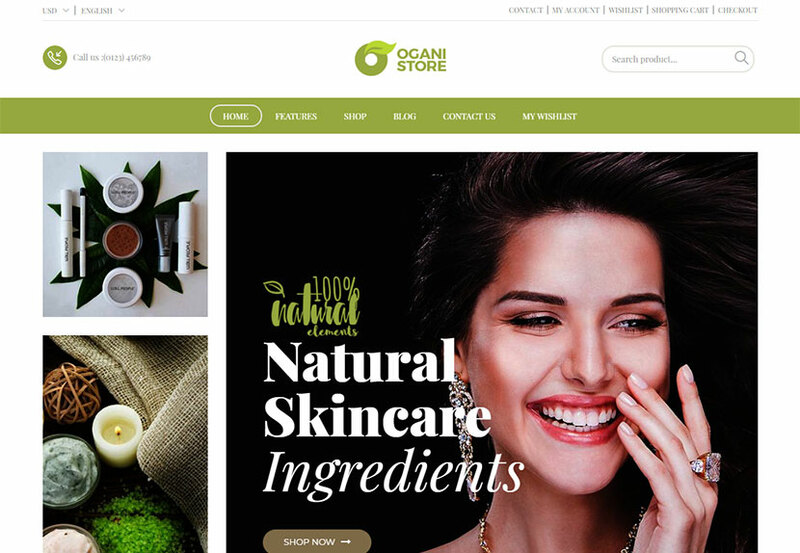 A sophisticated WordPress theme especially built for organic food and cosmetics online store. The template is fully integrated with WooCommerce, so it comes with all shop functionality required to sell your products on the Web. The theme supports WPBakery page builder plugin which includes the drag-and-drop interface allowing to build unique page layouts easily and intuitively. 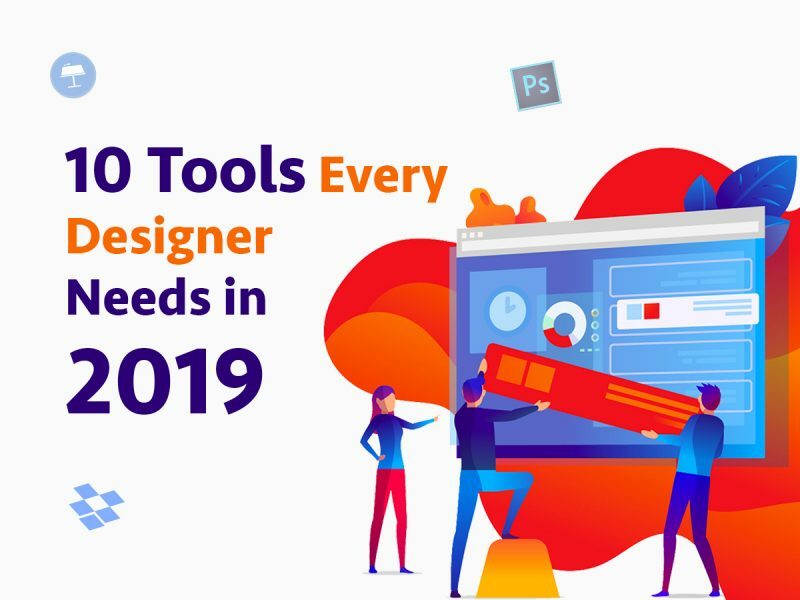 Content builder, amazing slides, realtime Customizer, product collection layout, different header styles, multiple shortcodes, mega menu, advanced typography options, and many more features are also included. Health means high quality of life and depends on what we eat and what we use for skin and hair care, what we drink and what we do in our everyday life. If you choose organic products, it means that you prefer healthy living.